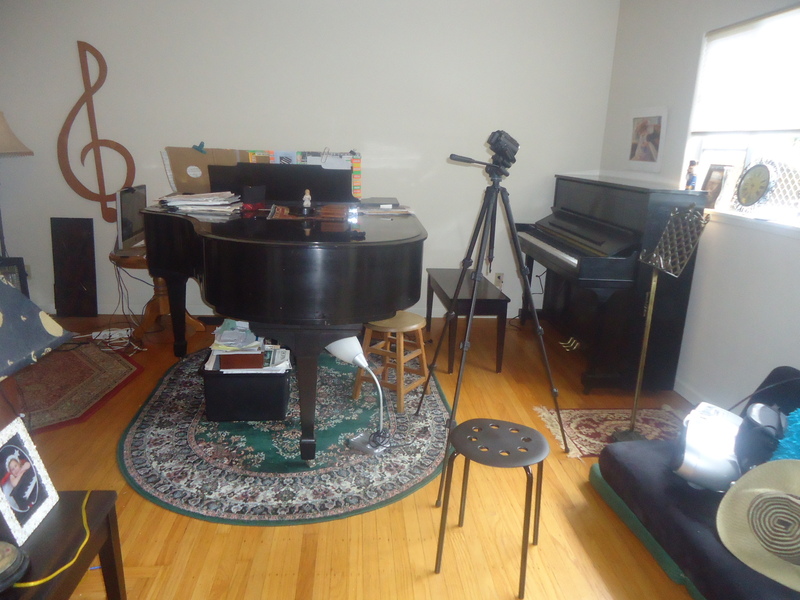 The assortment of pianos Knupfer deals with is mind-boggling. 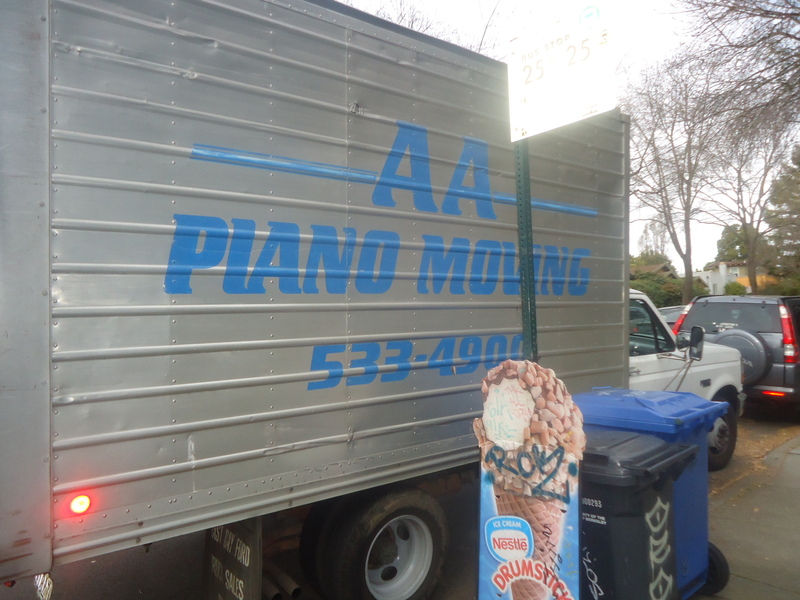 Steinway grands are numbered like thoroughbreds at the Kentucky Derby. 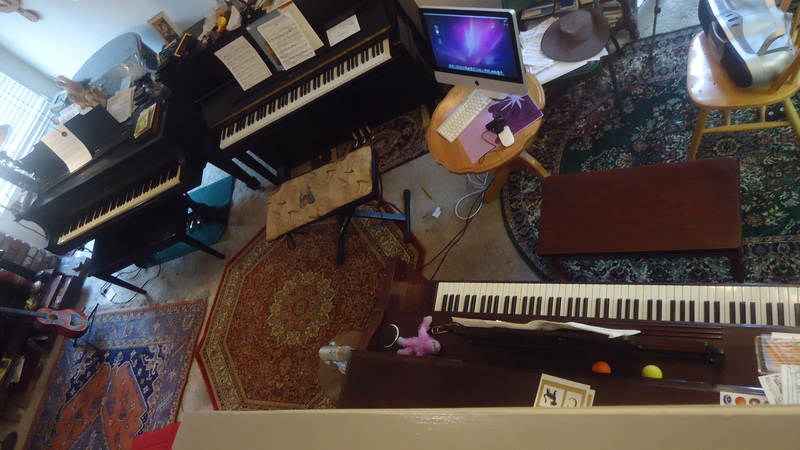 The numbering, so conspicuously referenced in James Barron’s The Making of a Steinway Concert Grand(book and documentary) also applies to my own assortment of pianos. 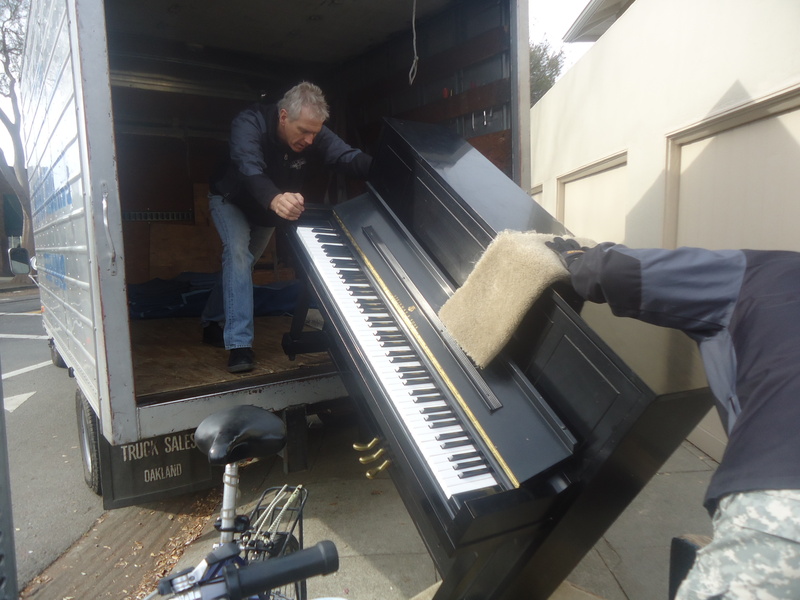 Fast forward to the latest piano shuffle in Bezerkeley, a sized-down space, that forced two acoustics out the door–one on loan to a piano teacher in Fresno. 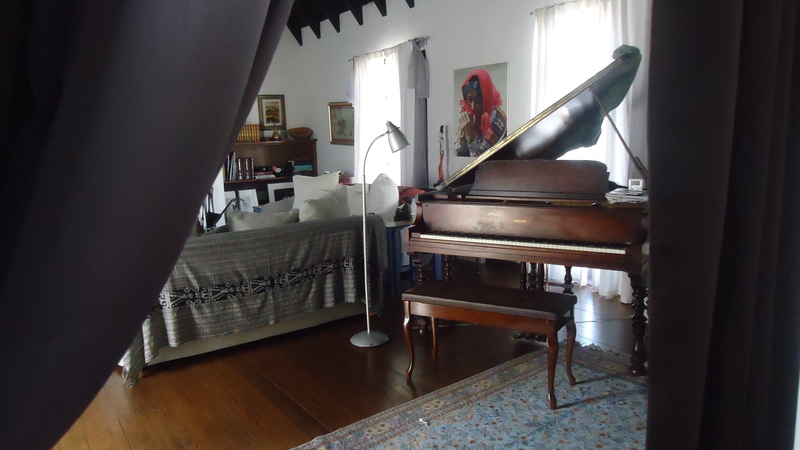 The other, a Baldwin Grand, 1929, is housed up in the El Cerrito Hills! 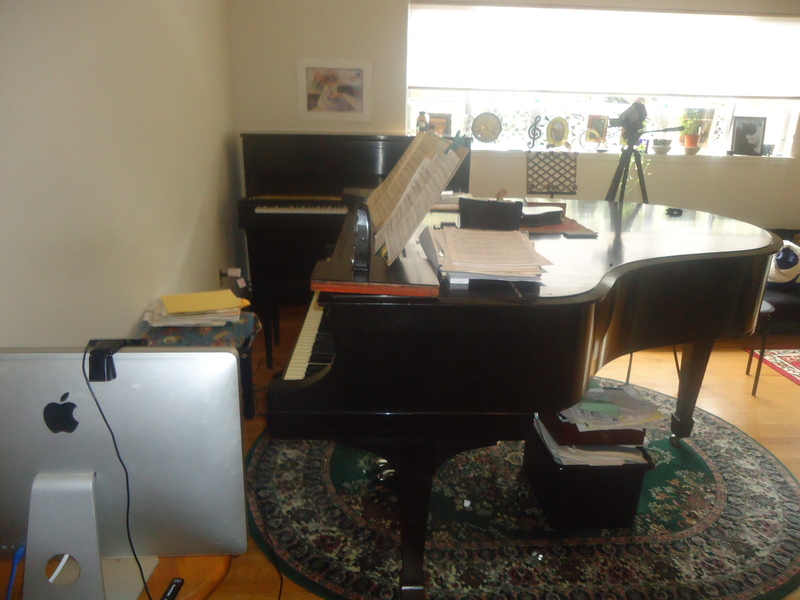 (my second E. Bay piano studio) Skyped piano lessons are launched at my Berkeley pad. 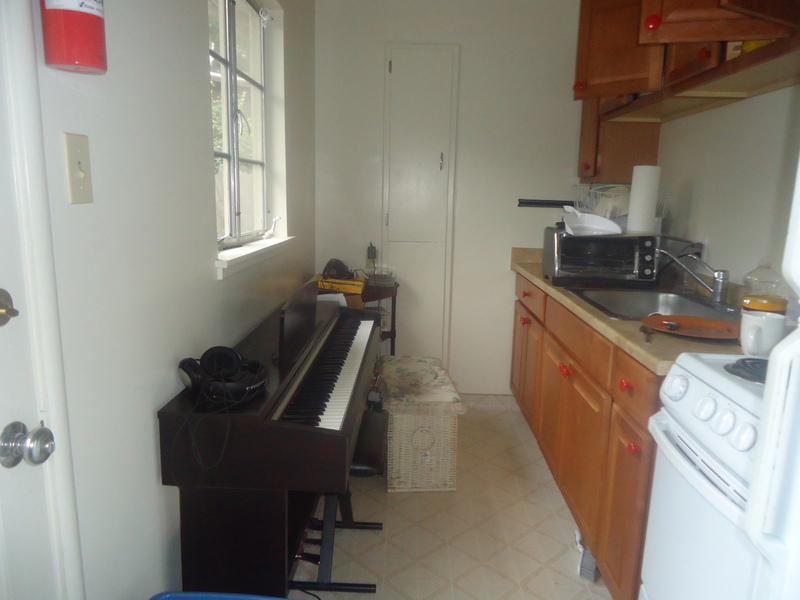 Well, it was better than relocating an electronic to the bathroom, if you consider the economy-sized layout of my digs. (By the way, a hamper joins the blended family, with an ironing board neatly folded into a custom-made cabinet–It’s ready for deployment) Talk about an all-purpose kitchen! Sitting pretty, all dolled up, and ready for action! How’s this for lighting and color framing! The back story. 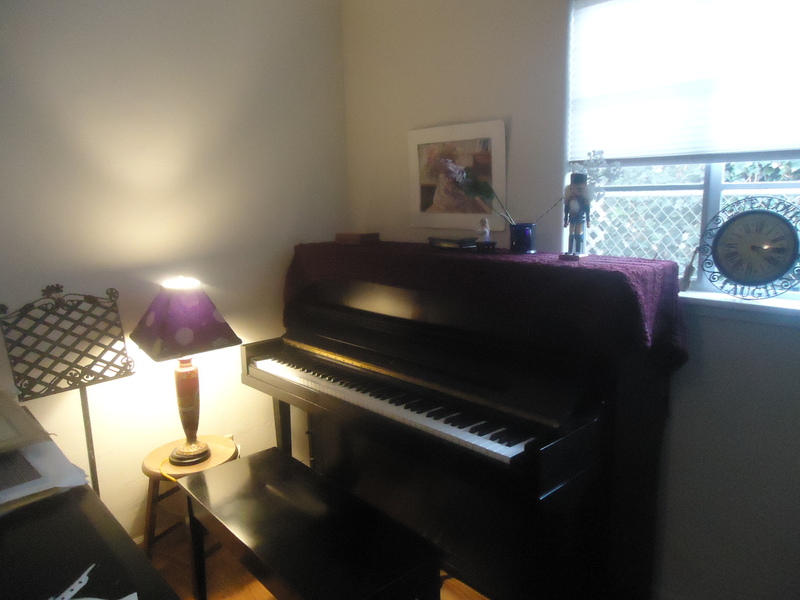 I purchased Steinway 1098 in Fresno about 7 years ago. 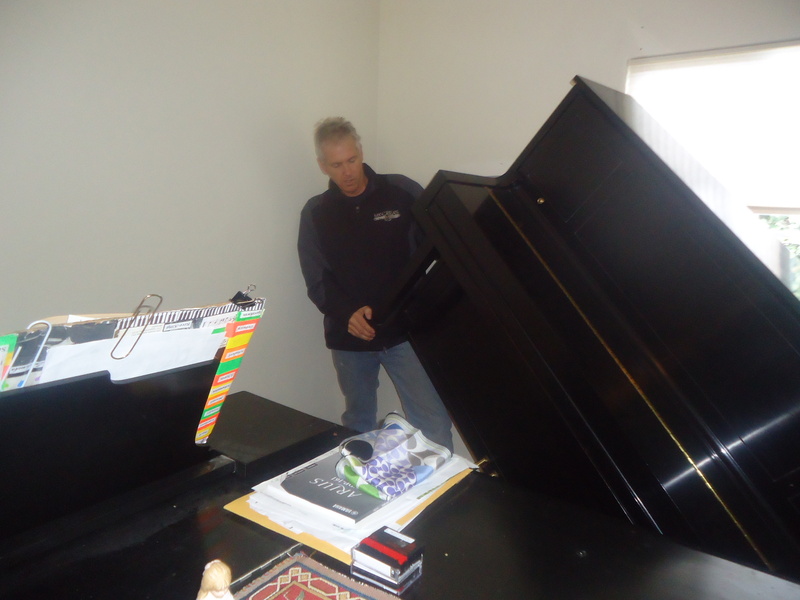 A friend spotted an ad for a Steinway upright in the FURNITURE section of the Fresno Bee classifieds. Naturally, I raced to see/play it, and my curiosity was rewarded by years of playing pleasure. The seller, a native Italian, planned relocation to the homeland and desperately needed to find a good home for her sweetheart. I guess it was love at first sight and sound! A match made in heaven! 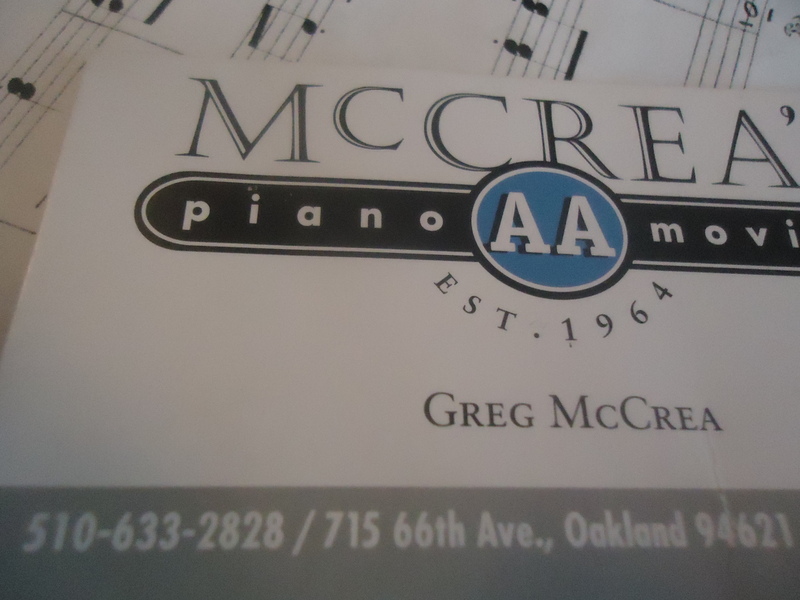 Tagged Bay area piano mover Greg McCrea, Berkeley, Berkeley skype piano lessons, CA, classissima, classissima.com, El Cerrito piano studio, Greg McCrea AA Piano movers, James Barron The Making of a Steinway Concert Grand, piano, piano addict, Piano movers Greg McCrea, Piano World, piano worldwide, Pianomania!, Shirley Kirsten, Shirley Smith Kirsten, Stefan Kupfer, Steinway & Sons, Steinway 1098, Steinway and Sons, Steinway grand piano, Steinway piano, Steinway Studio upright, the movie PIANOMANIA! 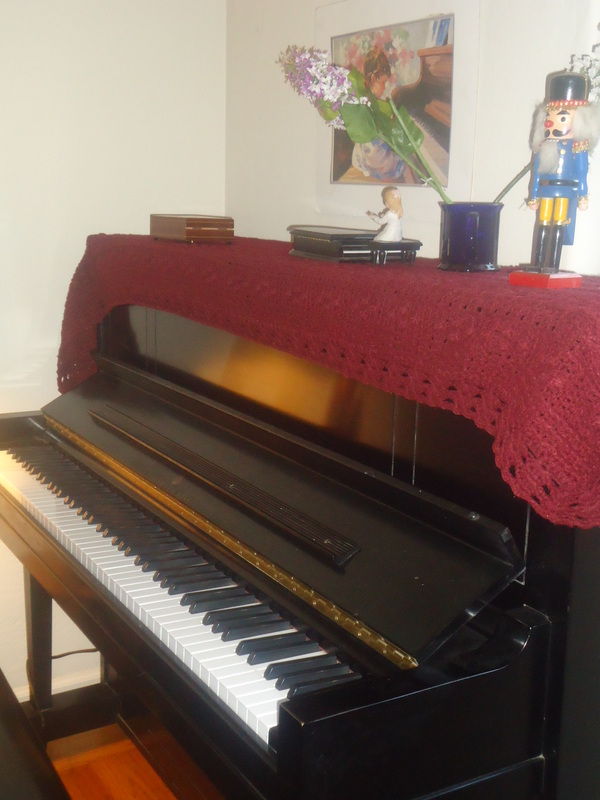 Just a woderful place…Greats Pianos and decoration…good work. Thanks, Jakov. Hope you are enjoying your new musical arrival!